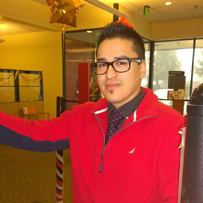 Omar Melchor-Ayala has a bachelor’s degree in criminal justice from Western Oregon University and a minor in Spanish (2006-2009). While studying at Western, he was a part of the PLUS team, Mecha, MSU, and was a recipient of the diversity scholarship. After graduation, he was offered a teaching assistantship at the University of Nevada in Las Vegas where he also earned a Master’s degree in Criminal Justice with a focus on research. Currently, he has been accepted in the doctoral degree in sociology at Portland State University where he also received a teaching assistantship. Omar has also worked at Hillcrest Youth Correctional Facility as an educator and mentor within the Hispanic community for two years. Moreover, he has several papers in preparation for publication, mainly regarding Hispanic issues and the criminal justice system in the United States.